Lightning Risk assessment Study is actually the measure of risk of a lightning strike and probability of damages. 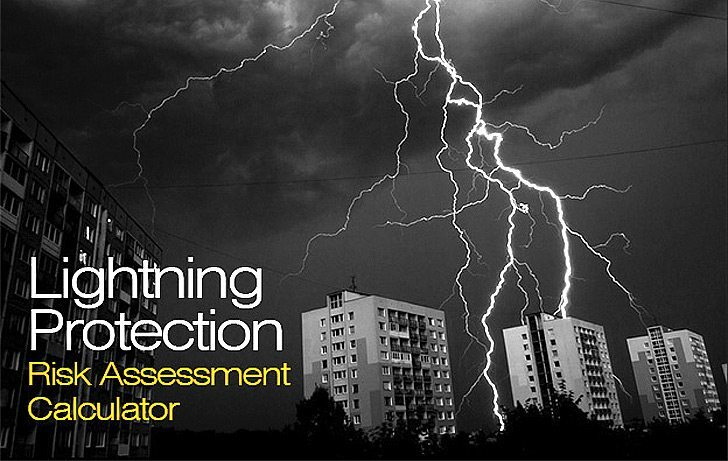 It assesses the lightening risks to the facility according to international standards requirements. These calculations are according to IEC Standard 62305-2. Brief introduction of all are given below. It is the measure of lightning strikes per kilometre square per year in the particular area. Higher the lighting strike density, higher the probability of lightning strike which needs higher level of lightning protection level. It is the factor of presence of people and panic in the building in case of a lightning strike. It is the risk reduction factor with respect to theoccupancy of the building / installation. For example, loss due to lighting strike is higher in hospital as compared to a store / warehouse. It is the risk reduction factor with respect to the location and surrounding of the building / installation. For example, chance of lighting strike is minimized if the building is near to a high tower. It is the risk reduction factor with respect to the flammability of the material present in the building / installation. For example, in case of lighting strike, loss will be very high at a gas station as compare to the cement store. Wow! I like the software, I compared its results with a risk assessment that I did manually and the two results are almost similar. I can´t donwload the arhive. Hi, can I get the LPL / Class after I do this risk assessment? I have a task to determine LPL of a structure and still cannot find calc that will give me an answer to it. Your reply will be appreciated! How can i see the calculation result? I can not see the result after enter some information..
Excel sheet only one and It’s locked even.. Please give me a instruction. Thanks. Its a great software, thanks!! There is a question about Occupation coefficient of structure that I don’t really understand what it means.And I couldn’t find any similar parameter in 62305-2. Could you please help me explain this item? Thanks a lot!! Can I have the mail address of the author of this software?